Assange has been on an exile in the Ecuadorian Embassy in London since 2012. Julian Assange couldn’t have gotten any more sarcastic! 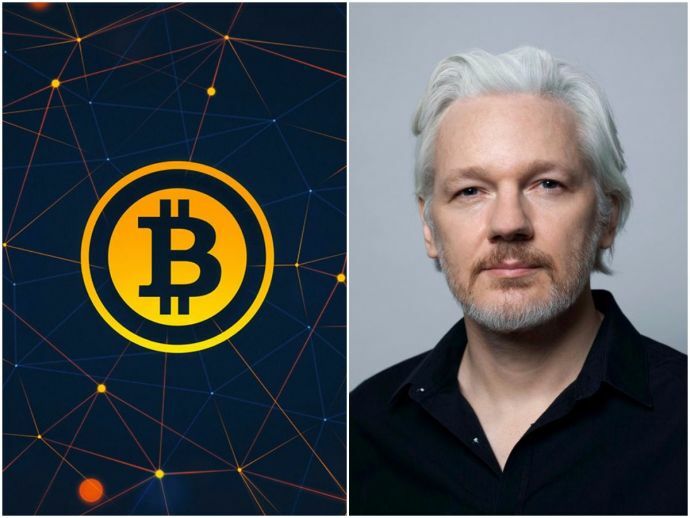 The Wikileaks founder wrote a ‘thank you’ note to the US authorities for compelling his company to invest in Bitcoin, back in 2010. The value of his investment inflated by a staggering 50,000 percent in the pro term. As per The Coin Telegraph, Bitcoin reached an all-time high of $5,746.51 this week. The surge has been termed unprecedented by the critics. Sanctions were imposed on the whistleblowing website after it released sensitive documents pertaining to US interventions in Afghanistan and Iraq. The sanctions limited the funding and it was then that the website was coerced to use alternative methods of funding. Julian specifically mentioned the current and former senators John McCain and Joe Lieberman for making him resort to this method of alternate funding. Who would have guessed it would turn out into a fortune, no sooner than later! Lieberman had called for the Department of Justice to prosecute Assange. He sought his extradition under the 1917 Espionage Act from the UK for leaking US Embassy cables. "I think this is the most serious violation of the Espionage Act in our history," Lieberman said at the time to The Guardian. "It sure looks to me that Assange and WikiLeaks have violated the Espionage Act."